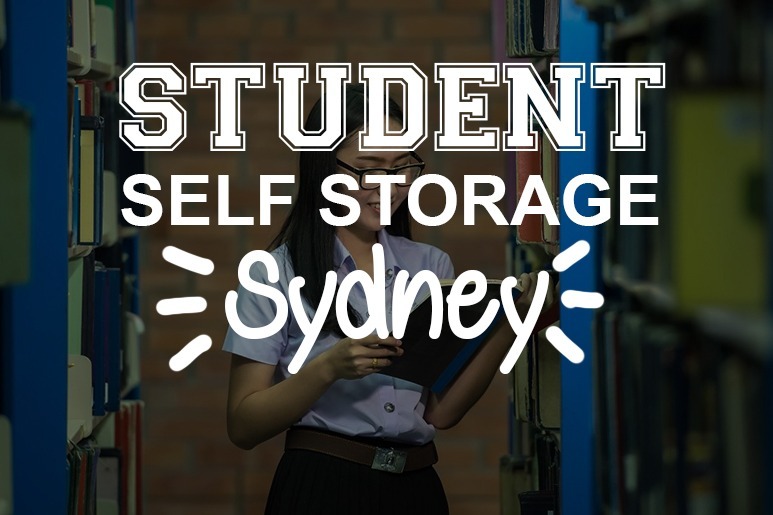 Are you someone who’s looking for affordable student self storage Sydney? Then you’ve come to the right place. Moving from the dorm or your apartment to your house, especially between classes and summer break, isn’t easy. All the more, if you are someone who would to a point bring the most comforts with you wherever you go. Thus, causing your stuff to pile up in your apartment. And now, the time comes for your summer break, and you find yourself wondering what to do with the heaps you will have to bring with you. Daunting, eh? This is where student self storage Sydney comes along to save the day. By all means, don’t you stop yourself getting everything you need for your dorms! Because you wouldn’t have to worry about them when the semester ends. Just store them in one of our facilities and come back when class resumes. And did we mention affordable storage? You bet we did. And to make this more of a win-win situation for you, allow us to give you some insights in how to maximise your budget even more. In this post, we’ll give you six of the best money-saving advice that will save you from overspending on self storage. Let’s get to it! Tip 1: Determine if you really need a storage company. You may want extra room for your stuff, but if it’s just for a few books or bed sheets, then student self storage Sydney may not be for you. Try and ask a few trustworthy friends if they’re fine holding on to some of your stuff temporarily. You’ll need to agree on how long they can keep your things because the last thing you want is to inconvenience them. Once you decide on a period, make sure you stress that they’re supposed to take care of your items during this time. This helps you maintain good relations even after the arrangement. On the other hand, getting a storage company like us to keep your items is hands down, your safest choice. Nothing gets stolen, all your things will be left undisturbed, and you have access to it whenever you want! These are things that can’t be guaranteed when you leave your stuff with friends. Tip 2: Find discounts for student self storage Sydney. Some companies offer promos and discounts for students, so don’t be too hasty in deciding a company to hire. Do your research, ask around, and reach out to companies yourself to find out which one can give you the best deal. And don’t consider the price alone, unless you’re very tight on budget. It’s important that your things are kept in a safe and secure storage unit, and it’s worth your money to invest a few extra dollars for that. We offer super-competitive prices here at Macy’s. In fact, if you can find a storage company that’s cheaper, we’ll beat it by 10% so you can save even more money! Not bad, right? Tip 3: Look for free services. Aside from the discounts, look for companies that offer a free van for the move. This saves you on cash that you would normally spend on buying the pizza to bribe your friend with. Some companies even offer a free van PLUS driver to help you carry your things. If you’d like to drive your items yourself, however, there are also companies that allow that. 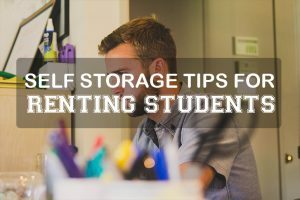 Make sure to assess your needs for student self storage Sydney. If you’re planning to use the storage unit longer, try asking for a discount. Especially if you’re planning to use the unit for an upwards of 6 months. Who knows? You may get up to 10% off for each month! As a student, every cent counts so don’t be afraid to haggle if you must. Again, money is no laughing matter. So why not bring a smile to someone else’s face by sharing the cost of the student self storage Sydney? Imagine if a unit costs about $19 a week and you’d only be able to fill up half the space. You’d pay $8 for space you literally can’t use. But with a friend joining in, you get to keep that money and spend it on more important things – like pizza. If you have nothing to keep your items in, don’t be afraid to ask the storage company for boxes if they have some to spare. Mobile self storage Sydney companies normally deal with many clients, and they sometimes have several empty and unused boxes. So, if you don’t ask, you’ll never know! As you can see, saving money involves a lot of asking around. But that’s a small price to pay when you consider all the advantages you get! You can then use the money you save up to buy things you need for class, like a new computer for assignments. Would you like to learn more about self storage for students? Then don’t wait. We look forward to helping you out with whatever questions you may have. We can even help you get computer movers for all your tech and gadgets. Call us now on 1300 40 90 69. This entry was posted in Storage and tagged affordable storage units, Macy's Mobile Self Storage, self storage, self storage box, student storage.